What a charming piece and quite rare! 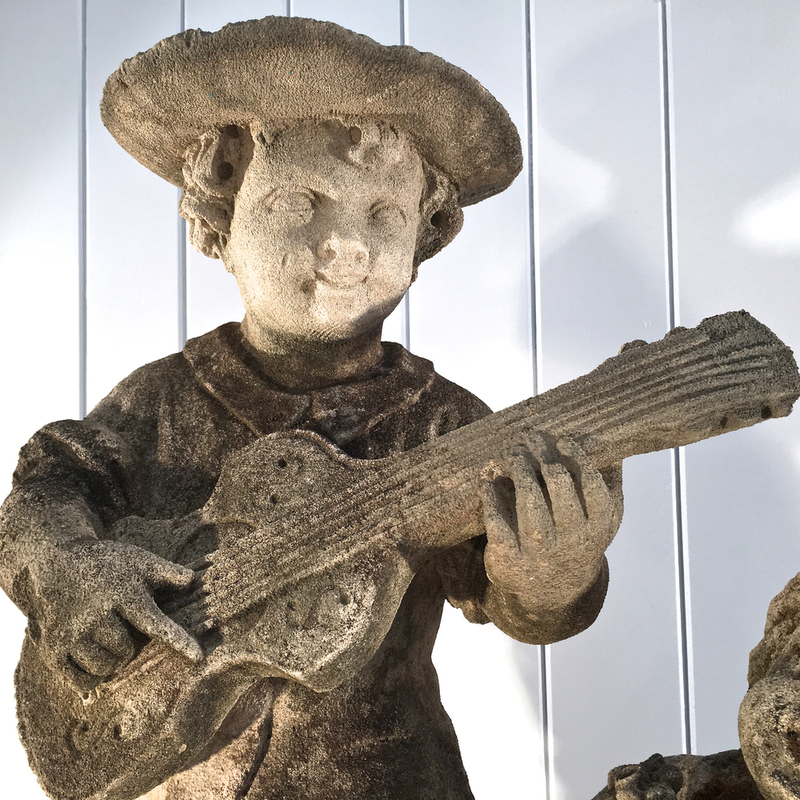 This beautifully-carved statue is most probably from the Low Countries (Netherlands, Belgium, Luxembourg) and features a young boy with mandolin serenading his little sister. She gazes upwards adoringly at him, offering him a fistful of flowers. 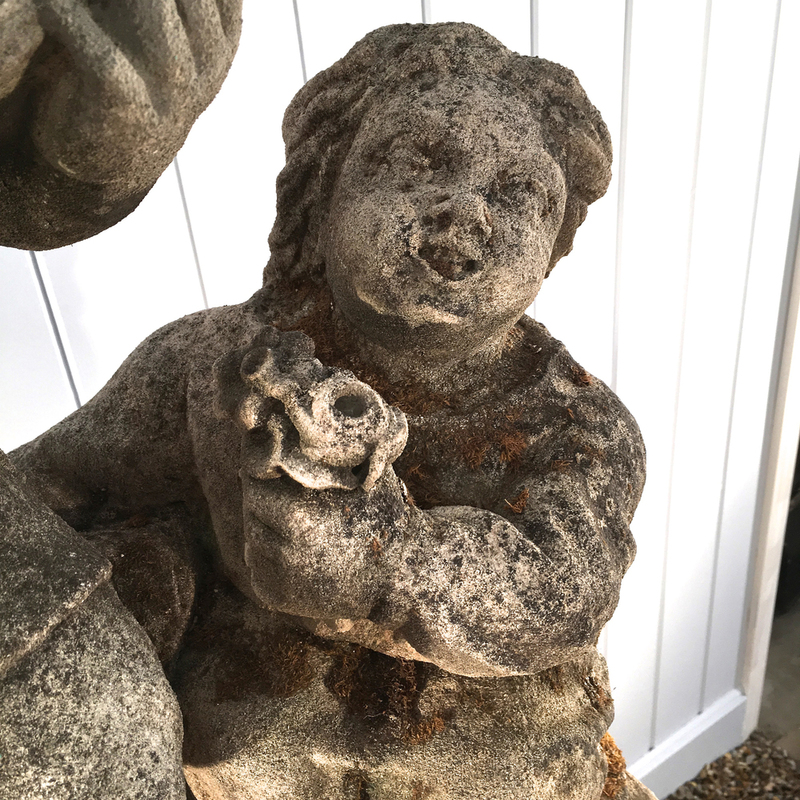 The statue has a beautiful patina and moss in spots that will return to a lustrous green, once placed back outside in the cool, damp shade. There is a solid repair to brim of the boy's hat executed by our restorer that is difficult to detect. Otherwise, the figure is in excellent condition. We have paired it with a tall, wreath-decorated pedestal with recessed panels from England. Amazingly, this pedestal looks identical to buff terracotta, but is actually made from cast stone and dates to around 1970. Newer PostSuperb Pair of French Terracotta Armorial Lions, Signed "Garouste"